The OHSAA Sectional Individual Tournament entry confirmation through myOHSAA ends January 19, 2019. Schools that change their tournament participation after January 14th will be subject to a $50 penalty. The athletic administrator must confirm their schools tournament participation through myOHSAA prior to January 14th. The minimum weight as listed on the Alpha Master Roster and the wrestler weigh-in sheet must be provided to the tournament manager prior to starting the sectional tournament. Make sure your coach submits the Online Roster and Seed Nomination form on www.baumspage.com before 7:00 PM on Thursday, February 21st! 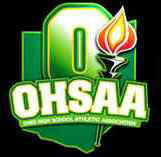 If there are questions with myOHSAA, e-mail Brenda Murray (e-mail: bmurray@ohsaa.org) at the OHSAA office. For the Individual Sectional Tournaments, the Online Roster and Seed Nomination form must be submitted on www.baumspage.com. Coaches must login and submit their entries before 7:00 PM on Thursday, February 21st! The Entry Window will open at 8:00 AM on Sunday, January 20. The Entry Window will close precisely at 7:00 PM on Thursday, February 21st! Use the Contact Us first! In an emergency call Gary Baumgartner at 513-594-6154 or Terry Young at 740-517-0195 if you need immediate help! If you are ready to submit entries, click the Online Entry link and login to your account.